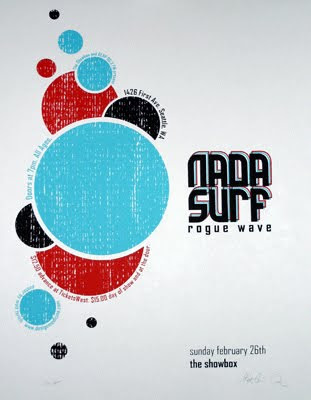 This months challenge at Scrap the Boys is to create a LO using this AD (you can interpret this however you please...colours, sketch, circles, surf inspired...whatever) . 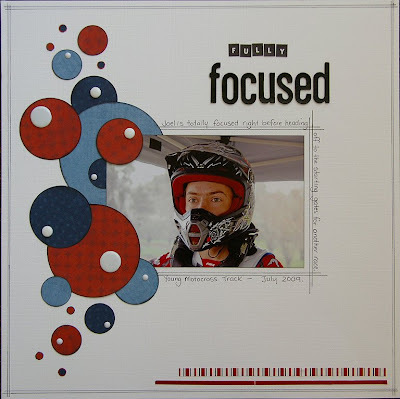 ^^ Here is my sample LO - "Fully Focused"....I used the AD as a sketch, plus took inspiration from the colours - just using scraps of paper to make different sized circles. Seeing that we're at the beginning of yet ANOTHER new month....I thought it was time for a blog makeover....found some great blog backgrounds at this fantastic site....HotBliggityBlog ....go check them out. Hope everyone is having a great long weekend....even though the weather is really miserable!